Four years after the Moose’s Tooth opened (another Alaskan favorite) brothers, Rod Hancock, Warren Hancock, along with Matt Jones, worked on another dream project: a theatrepub and ultimately transformed the former Denali Theater into the Bear Tooth Theatrepub. Inside the theatre, you’ll find 275 seats with tables, freshly prepared food made from local ingredients ,wine, mixed cocktails, and draft beer from award winning Broken Tooth Brewing. 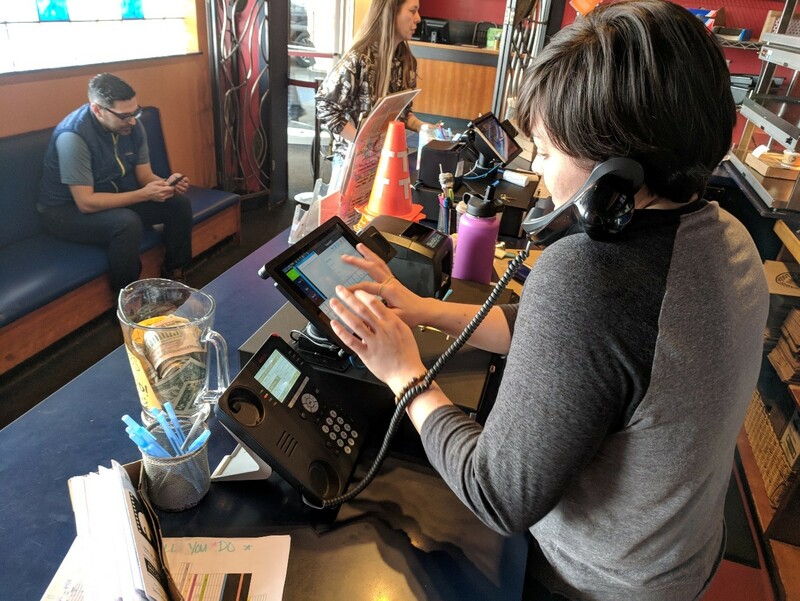 For a company that thrives on innovation and excellent customer service, the Bear Tooth needed a point of sale system that would match their ever growing business. The MobileBytes solution was the perfect fit - cloud based, innovative and nimble, intuitive and easy to use - giving managers the flexibility to manage the system when and where they needed. Jeff Wood (a former Bear Tooth employee himself) managed the project and made the transition to MobileBytes a smooth one - no small feat given that they use 23 workstations/mini's and 15 remote printers!!!! Some of his thoughts that made the Bear Tooth installation unique: multiple concepts under one roof - the Bar and Grill, Theatre Pub, Café, and To-Go all operate as separate entities, but are controlled by the same system; the solution is easily scalable to quickly add or move additional workstations; programming and back office administration could meet the demands of the Bear Tooth staff. If you are looking for a fresh and innovative point of sale solution, click on the link below or call us at 907-243-2683.